If your kids don't sleep well, it just means more time to be together ... more time to love each other ... Well, sort of, says Maxabella. Just so we’re clear, I am using the term ‘sleep’ very broadly in this post. After over a decade of broken, crackly, torturous sleep, I honestly can’t remember what real sleep is like. Sleep must be nice, though, it must be really, really nice. Despite the fact that I did not win the parenting lottery and instead was granted one exceptionally bad sleeper, one really bad sleeper and one normal-bad sleeper (for I am anecdotally aware that not many children sleep well at all), despite all that, I am still rather grateful for my children and all they have taught me about sleep. And endurance … for they have taught me so very much about endurance as well. If I had been told when pregnant with my first that the “newborn sleep cycle” I was so afraid of was going to last about 10 years, I think I would have … well, I don’t really want to think about what I think I would have done. Let’s just say, I would not have been happy. Not one little bit. But in the end, when it comes to our children, we just do what we have to do to see them grow and flourish. If that means getting by on a couple of hours of broken sleep for years on end, well, that’s what we do, right? Right? It just matters that you have one. Keep the routine structured and predictable and it becomes a solid cue for your children that sleep time is nigh. That is, of course, if they associate bed time with sleep time, which mine have never quite managed to do. You can read all the expert sleep articles in the whole world, pat large nappy bottoms until sun up, rock tiny bundles in your arms until you wear a path through the nursery and let your baby cry it out until — well, for about five minutes tops because that’s all you can handle — you can do all that, but you just cannot make a child sleep if they don’t want to sleep. It is as simple and as horrendous as that. There’s a misconception that if a baby doesn’t sleep well, she’ll be crotchety and unsettled and deeply unhappy. I never found this to be the case at all. My one-year-old-son, who at one stage was averaging less than six hours sleep a day, was a pleasant, happy-go-lucky kind of fellow, unless you were trying to get him to go to sleep. Then he was really crotchety, unsettled and deeply, deeply unhappy. Week after week, I hungrily noted down the names: Isaac Newton, Charlotte Bronte, Barack Obama, Martha Stewart, Sylvia Plath, Maggie Thatcher, Michelangelo, Thomas Edison, Winston Churchill, Nikola Tesla, Leonardo Da Vinci, Napoleon, Tom Ford, Donald Trump, P. Diddy. All rumoured to have slept for four hours or less a night and all highly, highly successful people (just like your little dude is going to be, right!?). Of course, what became of their parents is not as well documented. If you get a poor sleeping baby, chances are you will have a toddler who doesn’t love his big bed, a child who requires copious amounts of monster spray, a tween who frets and worries and a teen who stays up all night gaming. It will just be one thing after another, but - and this is the good bit - at least it will be a different thing after another. So you can still reassure yourself with that most comforting expression, “this, too, shall pass”, even if you’ve had approximately 10 hours of unbroken sleep in the past five years. The problem with sleep problems is that we make them a problem in the first place. If that’s too many problems in one sentence, welcome to my world. Whatever else sleep is or isn’t, it is definitely something that all humans need in one form or another and our children will surely go to sleep if we leave well enough alone. I say that cautiously because whether we ‘created’ our kid’s sleep problems by something we did or didn’t do, or whether we had absolutely nothing whatsoever to do with it, we did the best we could with what we had. Perhaps controlled crying might have worked, after all it was pretty much the only thing we didn’t try (I even Gina Forded my poor non-Gina-ish son), but we didn’t so there you go. I doubt there has been a book about child sleep published in the entire world that I haven’t read. And I say that with authority as I believe it is only the Western world that actually has books about child sleep. 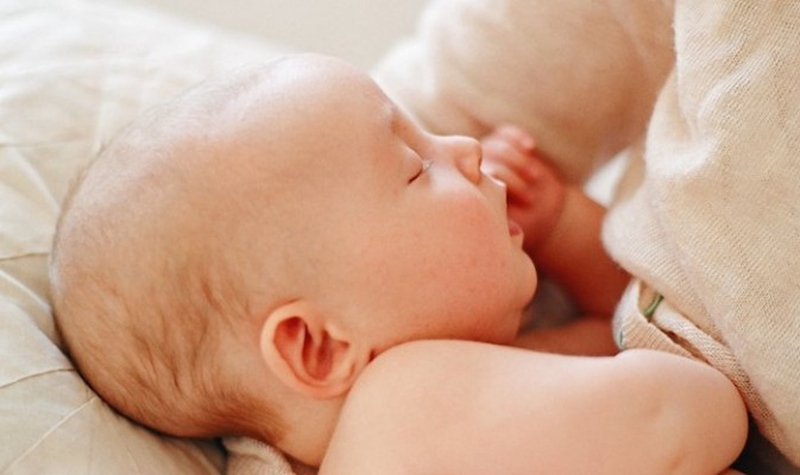 The rest of the world’s babies appear to sensibly just get on with the business of sleeping, seemingly without bothering their parents about it. Which is very reassuring in a strange way, because it allows me to think that I am just the victim of some terrible cultural defect, rather than a terrible mother. Always nice. For a long time my son would only sleep while being wheeled in his pram. If you stopped the pram, he would wake up. So my husband and I found ourselves walking the streets all day and all night, like robotic, but very fit, zombies. I never quite mastered the art of sleeping and walking the pram at the same time (so no “sleeping when the baby is sleeping” going on at my place), but my husband did rig up a pulley system in the hallway of our inner-west semi that meant if you pulled a rope, the pram would sail to the other end of the hallway and back again, effectively meaning that we could “walk” the pram from the comfort of our arm chair. You know what they say, necessity is the mother of a non-sleeping child. At one point in late 2005 when I had my 19-month-old son waking every hour on the hour and my two-month-old newborn daughter doing much the same, but not at the same time, I was so exhausted that life took on a pinkish hue. I sailed through the days high as a kite on adrenalin, which the body produces when all it wants to do is collapse and die in a gutter somewhere, but the cries of the babies it has recently delivered periodically jolt it back to life. It’s like having an in-built defibrillator. Quite apart from rocking the built-in defib and becoming oddly inventive, having a child who refuses to sleep is actually kind of funny, but in a not-very-funny way. There were so many times when my husband and I would laugh ourselves silly because the whole thing was just so silly. I’m talking about how you find yourself setting the radio between stations and turning it up really, really loud to create white noise that drowns out any hope of conversation, so you just sit there looking at each other with the white noise merrily shhhhing away and the baby flapping along with it. Or working out an elaborate safety system involving mattresses, pillows and a bungee cord in the laundry so you can put the bassinet on top of the dryer so the baby will sleep. Or creeping on all fours, crab-style out of the nursery so you won’t wake the child who has finally gone to sleep. Oh, yes, we’ve all been there… um, haven’t we? Prior to kids, I would have said that you are either awake or asleep, but years of ‘research’ have shown me that this is not the case at all. Of course, there is all manner of science that tells us that there are different sleep cycles, but I have come to think of sleep as a bit like a ride on a bus. As much as you would like to get to your destination quickly, in the end you need to go through all the stops and allow for all manner of different variables to get on the bus, before you finally get to where you want to go. Sometimes, the bus doesn’t come along at all. Server responsed at: 04/21/2019 8:45 p.m.